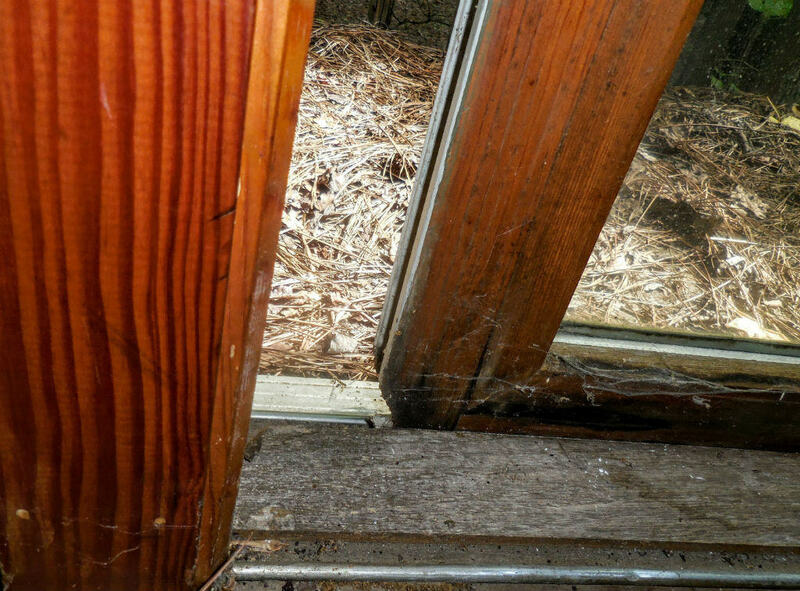 Wood decay due to water can render components unusable or dangerous. Noticing decay quickly and identifying areas where water is gathering in order to prevent damage is the difference between an easy repair and a costly one. This sliding door is difficult and expensive to replace. The beginnings of decay are seen at the corner. A licensed general contractor should evaluate and repair the damage as well as the conditions that allowed such decay.